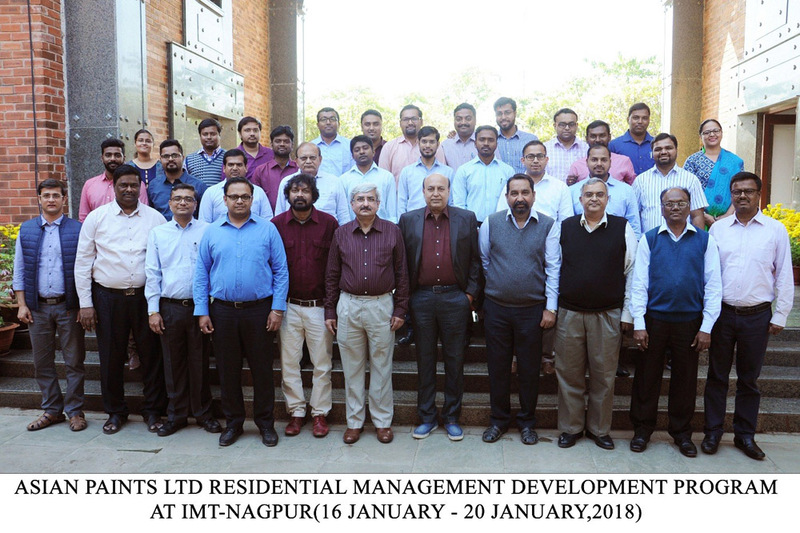 Institute of Management Technology, (IMT), Nagpur recently conducted two residential Management Development Programs (MDPs), for executives of MOIL on "Sustainable Development" and "Corporate Social Responsibility". 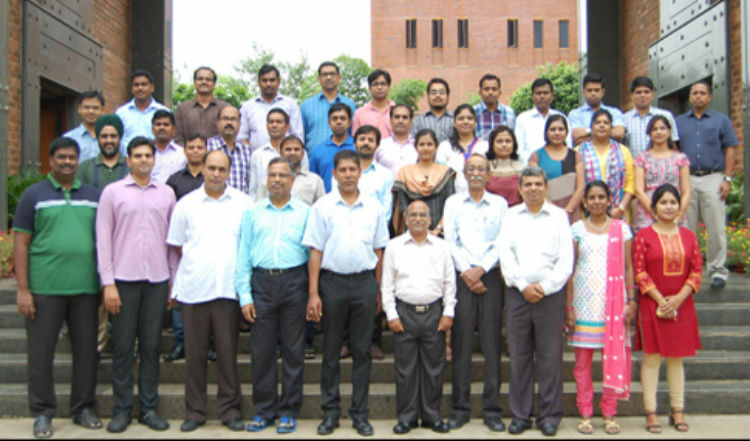 The feedback of our employees about program, ambiance and faculty was impressive. 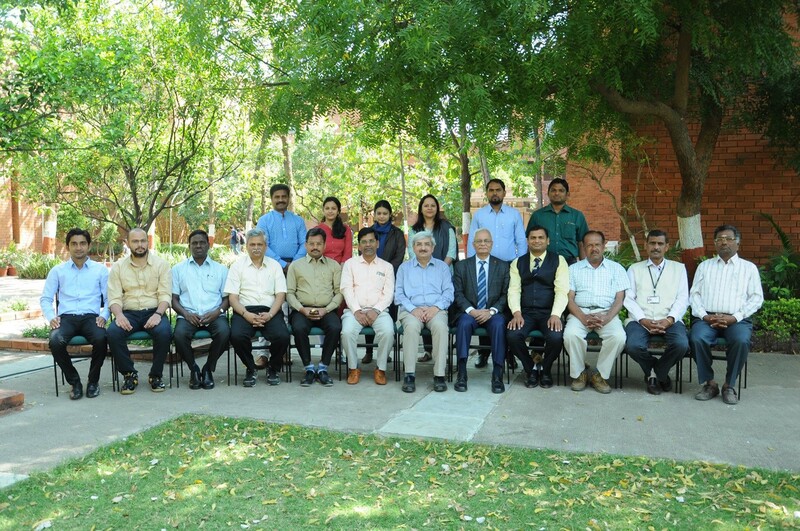 It was good to attend such a program for managerial excellence. The program was very useful and informative. The program was well organized and is very relevant and useful for our future. Mr. D. K. Singh,, Asian Paints Ltd.
MDP offers a unique platform to interact with Industry people through different and customized programs. 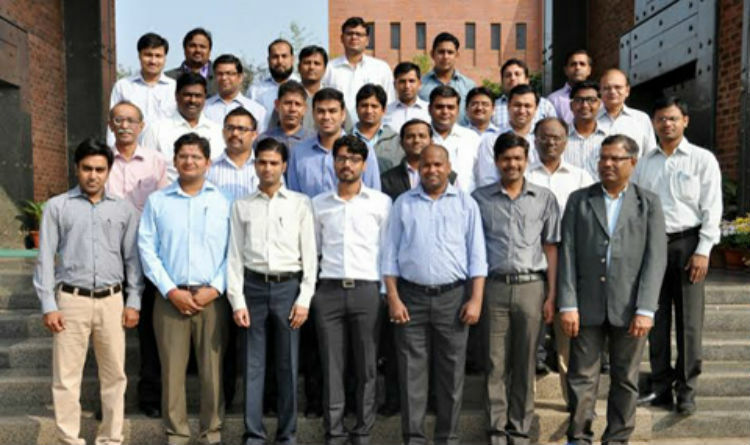 The Management Development Program (MDP) prepares an individual to become a better leader in his unit, department, or college, as well as a more valuable contributor to broader institutional goals. While Training focuses on improving an employee’s skill level, development has a more long-term focus intended to help an employee prepare for future jobs (change to challenges). It helps the organization to achieve its mission and goals by improving individual and, ultimately, organizational performance. The major objective of development is managerial effectiveness through a planned and a deliberate process of learning. As a middle manager (change to professional) in higher education (change to corporate world), you face a distinctive set of leadership challenges. You are responsible for leading your administrative unit, crafting strategy, motivating staff, and allocating financial resources, but are also expected to enact the vision of senior leadership and mobilize support for broader institutional (change to organizational ) goals. To be successful, you must be adept at managing both "up" and "down" the institutional (change to organizational) hierarchy. Through real-world case studies, small group discussions, and interactive presentations, MDP teaches you to think beyond your own administrative area and lead in ways that support larger institutional )change to organizational) objectives. You (change to one) will gain a deeper understanding of how different units function and will be able to incorporate broader strategic considerations into your (change to organizational) management decisions. MDP provides the tools and insight to think more strategically, balance competing demands on your (change to ones) time, and engage in more forward- thinking leadership. 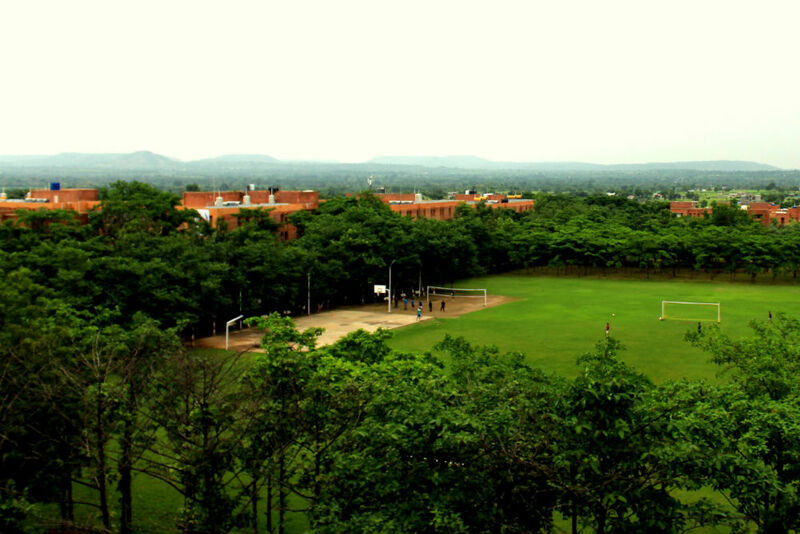 Nagpur (MH) - 440013, India. Partial List of In-Company Management Development Programmes we can offer for your junior, Middle & Senior Officers/Managers. The list is indicative only but not exhaustive. 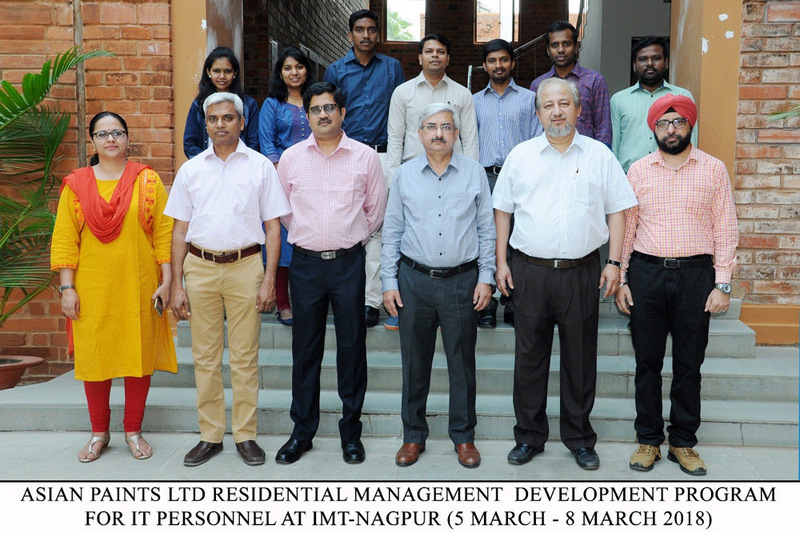 2 Days Residential OPEN MDP on Strategic CSR and Sustainability for Sustainable Development, Project Design, Implementation, Monitoring, Reporting and Way Forward Action was carried out on 7th and 8th March 2019 at IMT – Nagpur where the CSR and HR Heads of various PSU’s and Central Government participated to enrich themselves on sessions like Sustainability Strategies & Risk Mitigation, Innovative Small Microgrids and Integrated RE Applications for Rural Development, Carbon Accounting & Sustainability, Monitoring, Evaluation & Impact Assessment of CSR Sustainability projects to name the few. 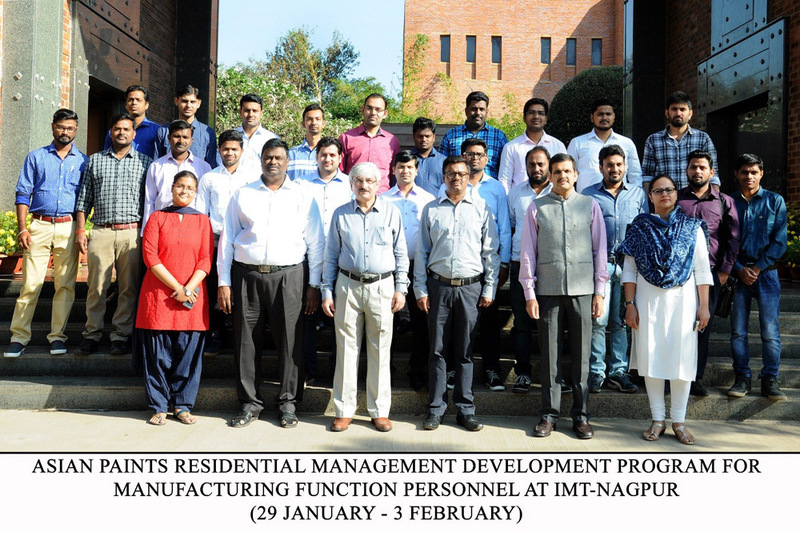 Two Batches each of 20 participants from manufacturing unit of Asian Paints Ltd was part of 6 days residential management development program at IMT – Nagpur from 4th February to 9th February 2019.This 6 days program was a combination of sessions related to technical as well as behavioral aspects of the participants. 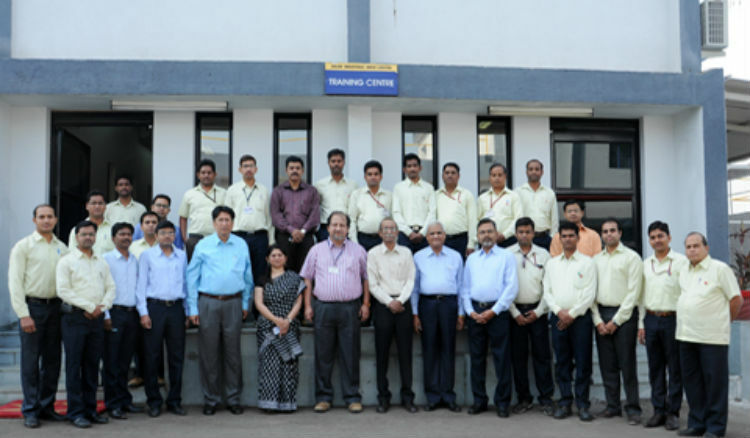 Manufacturing Excellence - Principles of World Class Manufacturing – a session based on Lean as a Universal Model of Excellence is a case study where participants need to work on the projects, Overview of Supply Chain session would give them a different dimension to their everyday work. 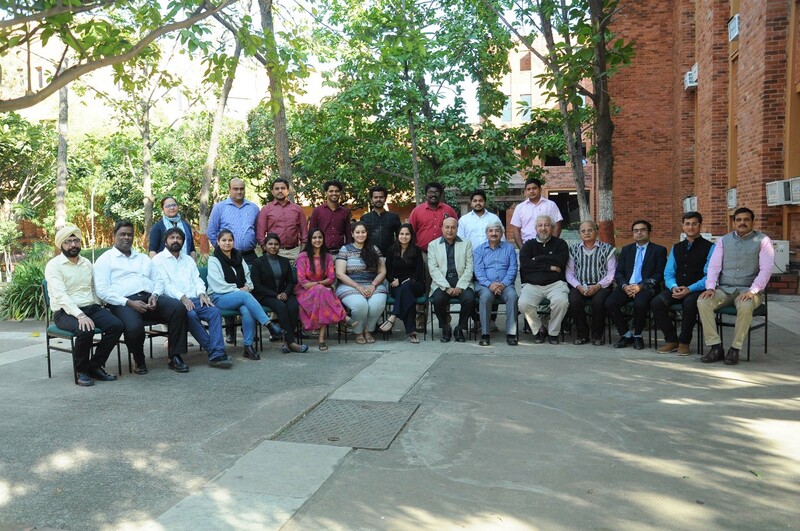 Sessions like Team facilitation, Innovation and Creativity at work, Decision Making and Post Decision Analysis will help the participant’s in becoming a crackerjack in their respective work. 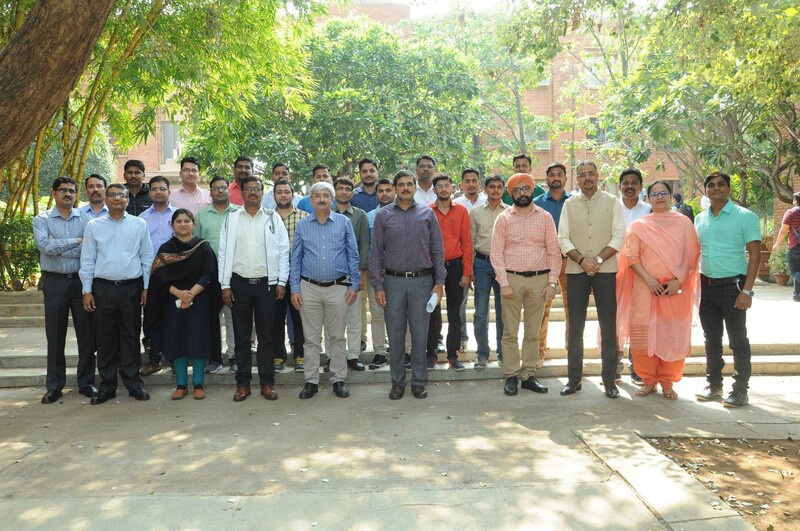 Senior Officers from IT Department of Asian Paints Ltd were at IMT Nagpur from 28th January to 31st January 2019 attend 4 days residential Essential Competencies Assessment program based on topics like Agile Project Management Technique, Customer Centric Strategies and topics like MBTI, Being Effective Team Player and Building partnership which helps to enhance interpersonal competency, able to comprehend effectively, provide participants relevant insights and a blueprint for customer-centric activation to drive customer loyalty. 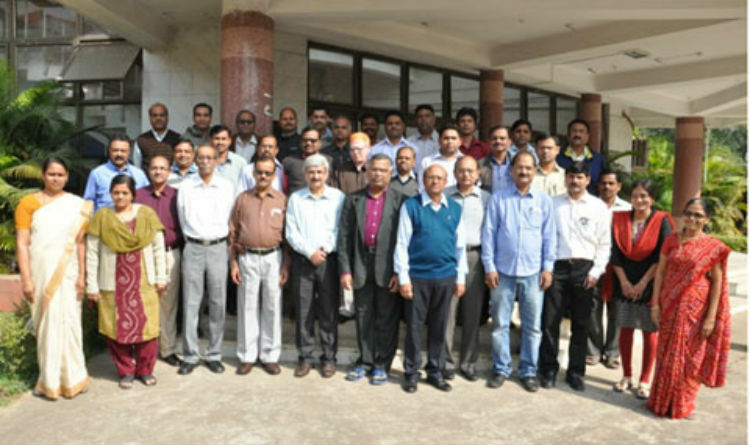 A group of 12 Regional Service Officers, Divisional Service Officer and Senior Designers of Asian Paints Ltd attended ‘Development Intervention Workshop’ at IMT – Nagpur from 14th to 18th January 2019 where the focus of 5 days residential workshop was on Business Analytics, Data Visualization, Consumer Behavior and topics like Communication and Team Productivity, Effective Listening and Body language and Interpretation were activity based and participants enjoyed every bit of it. 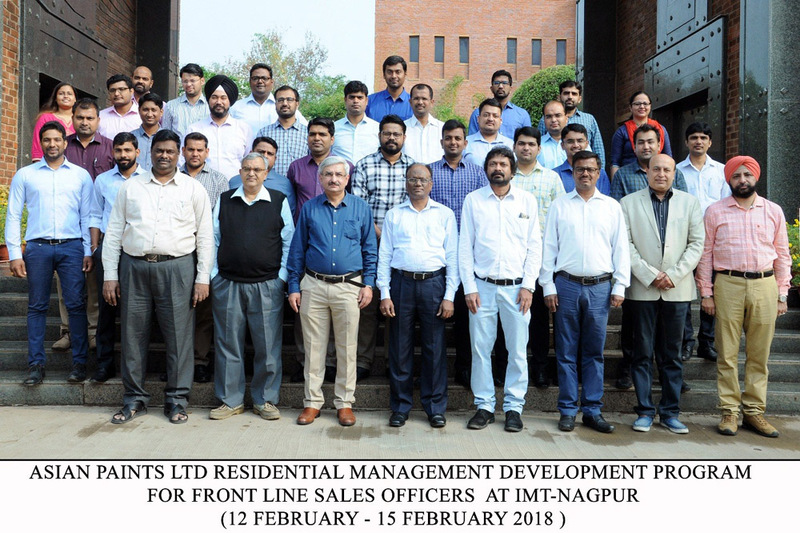 5 Days (19th to 23rd November 2018) Residential Management Development Program on Essential Competencies Acquisition (ECA) for 24 participants from Admin and Commercial Officers of Asian Paints Ltd. 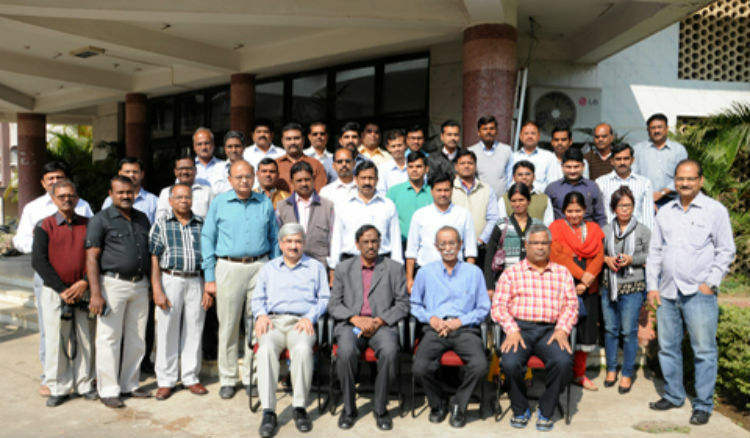 The objective was to update participants with advances and new ideas in the domains of certain management functionalities. In addition to that, most importantly, they have to be acquainted with certain managerial skills and competencies required for discharging their responsibilities. 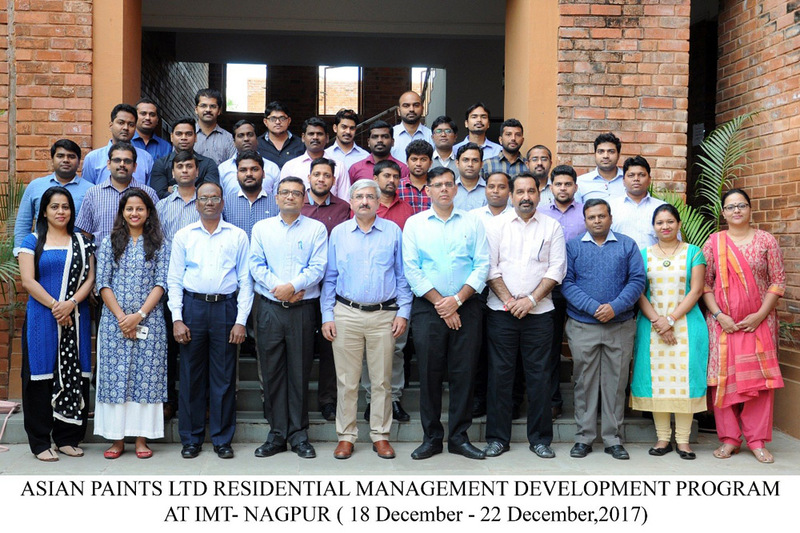 Institute of Management Technology (IMT) Nagpur conducted a Management Development Programme (MDP) from 23rd July to 28th July 2018. 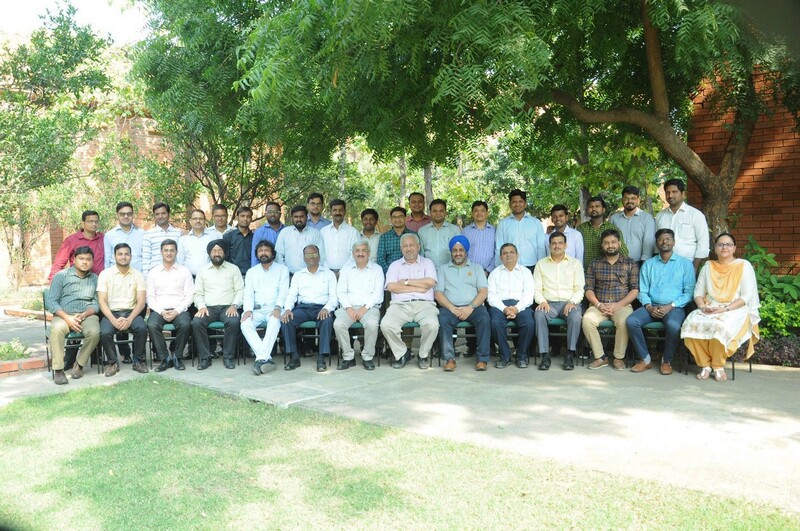 This six-day residential programme was conducted for the Officers of the Administration, Finance, and Vigilance departments of Geological Survey of India (Central Region). 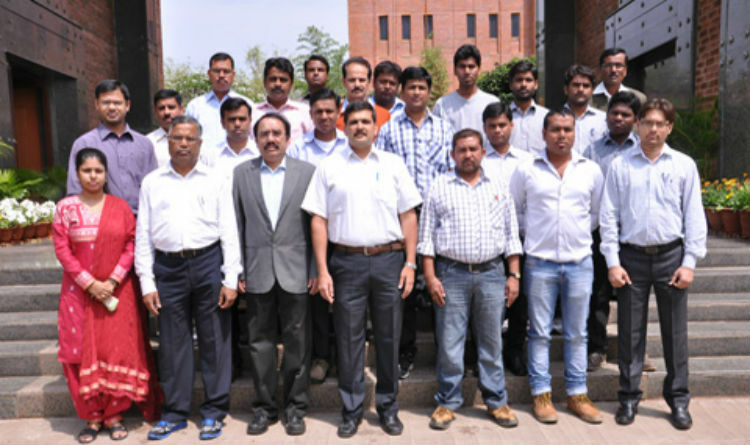 It helped the participants in upgrading their skills with the nuances of Essential Competencies Acquisition (ECA) thereby assisting the overall business objectives of the company. 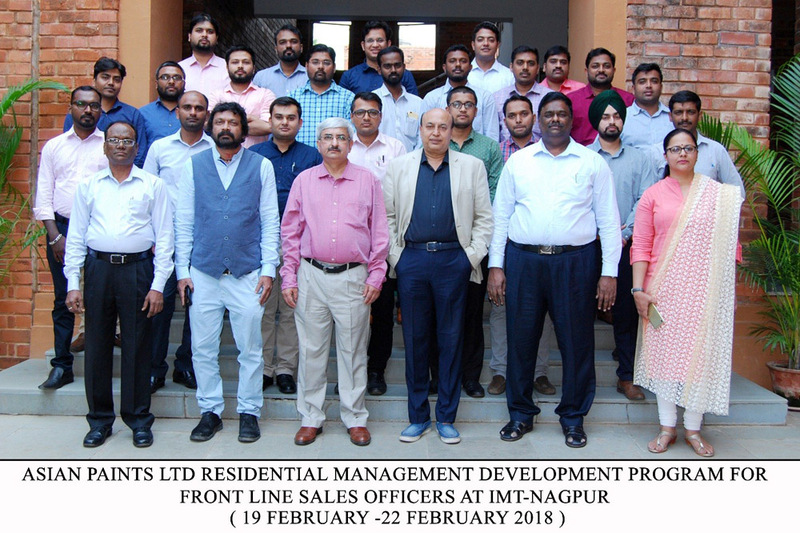 4 Days Residential Management Development Program for IT Solution Leads of Asian Paints Ltd from 5th March to 8th March 2018.The participants are Programmers and Developers at IT Department of Asian Paints Ltd. 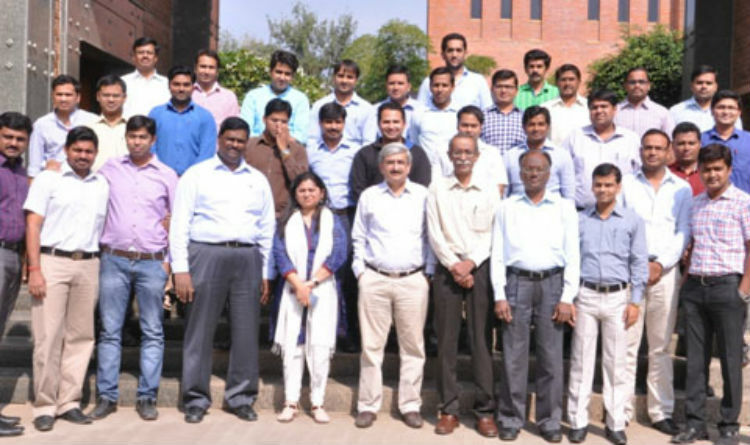 The main focus of the training was to have a combination of functional and behavioral inputs training related to their work profiles. 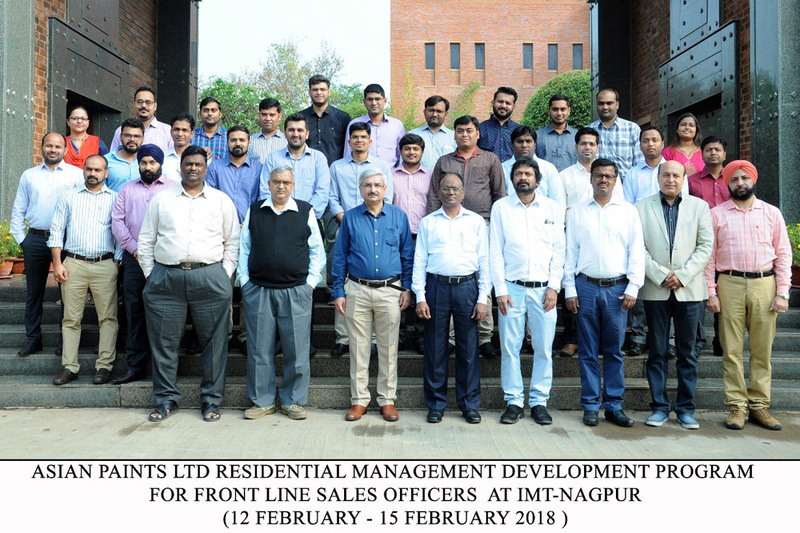 4 Days Residential Management Development Program for Asian Paints Ltd Frontline Sales Officers working across all sales offices was conducted in two different batch from 12th to 15th February 2018 and 19th February to 22nd February 2018 respectively. 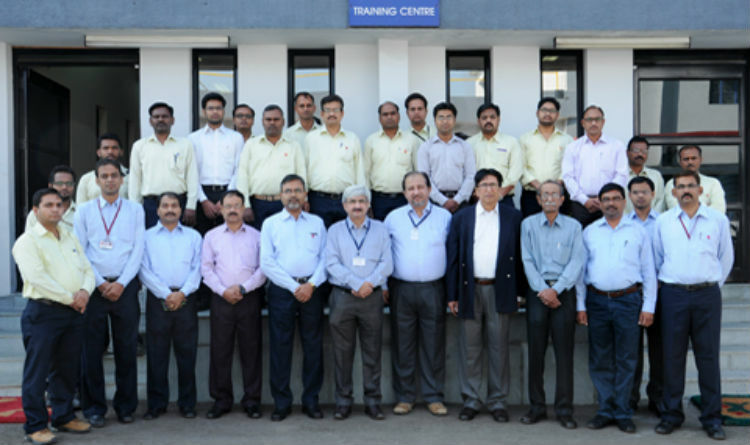 Around 100 participants were trained under their Essential Competencies Acquisition program. 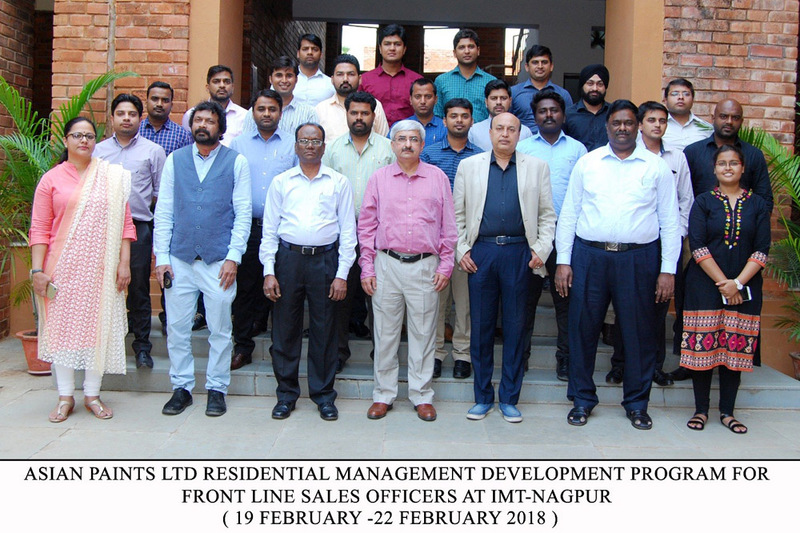 6 Days Asian Paints Ltd Residential Management Development Program for Manufacturing Function Personnel’s in two batches from 29th January to 3rd February 2018 for around 50 participants wherein the main focus of the training was to develop their managerial skills for promoting them to the next level. 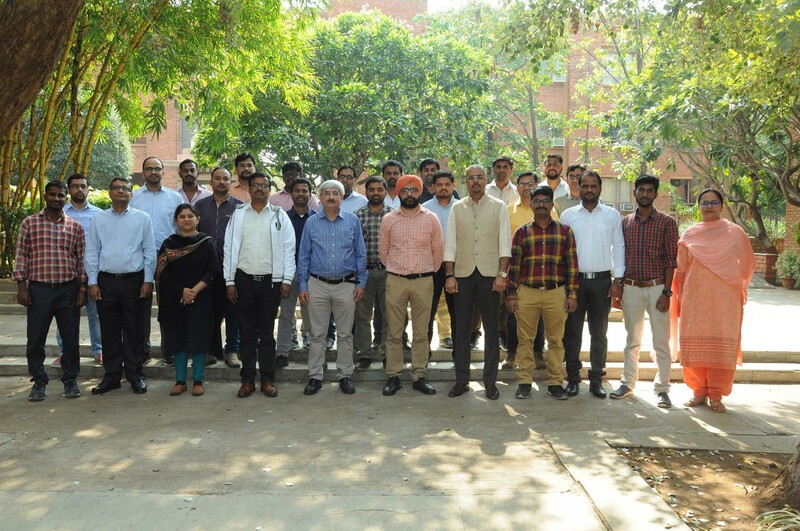 The Asian Paints Ltd batch of 20 participants were a part of MDP from 16th January – 20th January 2018, which includes various sessions based on their current work profile of supporting the functions in defined geography by providing on-site services, products trainings for all stakeholders, ensuring quality during application process and handling complaints thereby, assisting in achieving overall business objectives. 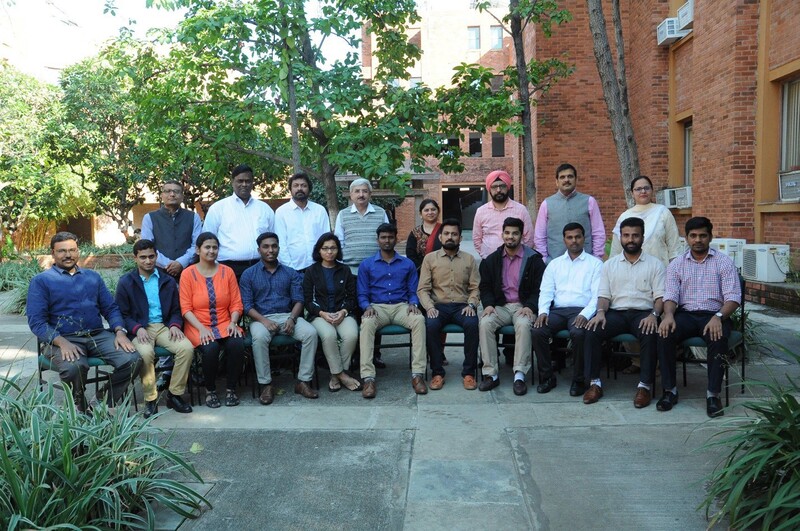 The Asian Paints Ltd batch of 25 participants were a part of MDP from 18th December to 22nd December 2017 which includes various sessions based on their Job Description of Commercial and Admin Officer with their key business responsibilities and deliverables. Abbott Healthcare Pvt Ltd Management Development Program conducted on 25-26th August 2017 at Jhagadia, Gujarat - 2 days MDP on Stakeholder Management Program. Abbott Healthcare Pvt Ltd Management Development Program conducted on 18-19th July 2017 at Jhagadia, Gujarat - 2 days MDP on Personal Effectiveness and Self Leadership. 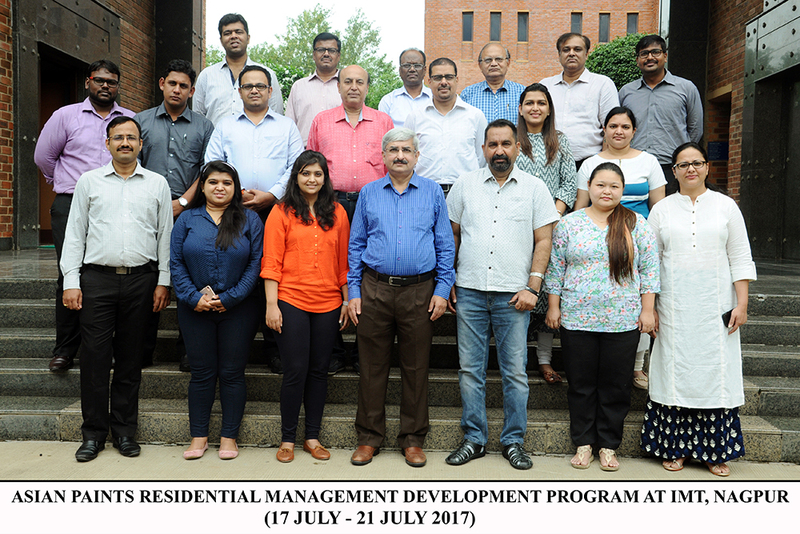 Asian Paints Residential Management Development Program conducted from 17th to 21st July 2017 - 5 days MDP on Aligning Marketing with Technical Service Delivery. 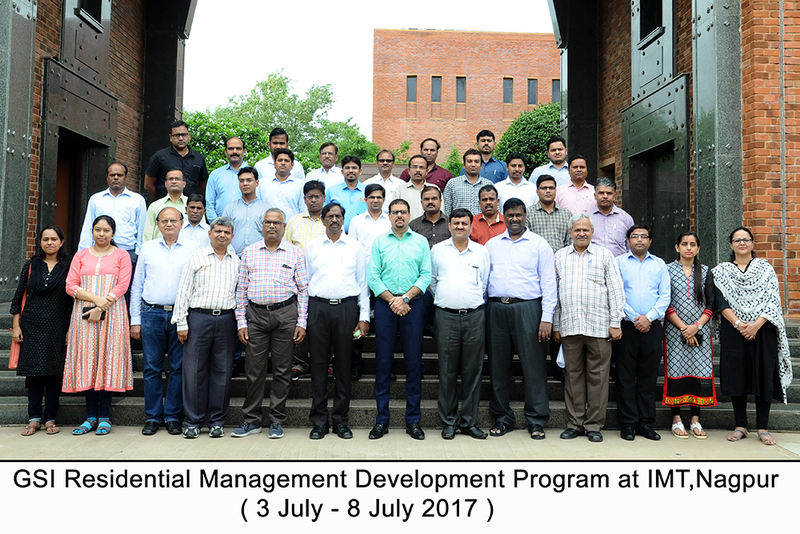 Geological Survey of India Residential Management Development Program conducted from 3rd to 8th July 2017 - 6 days MDP for Administration, Finance and Vigilance group officers of GSI. Increasing Productivity Using MS Excel, GST and its Impact on Industry - Micro view , GST and its Impact on Industry - Macro view, Report Generation Using MS Excel, Personal Selling Process, Demonetization and its Impact on Industry and Consumers, Handling Warehouse / Godown Operations, Qualitative Analysis of Sales Report, Legal Aspects of Vendor Agreement, Handling Customer Objection, Shift in Paradigm from Products to Services, Visit to Logistic Park, Channel Conflict and Resolution, Segmenting, Targeting and Positioning, Contractual Labor Handling Issues. New Trends in Marketing, Why Rural to How Rural, Segmenting, Targeting and Positioning, Shift from Marketing Products to Providing Services Personal Selling Process, Handling Customer Complaints, Consumer Behavior, Channels of Distribution. Difference between Manager and Leader, Leadership Grid, Effective Manager and Effective Leader and Managing Change. Motivating Self and Others, Issues in office management, Role and functions of attached office, Role and functions of Head of Departments and Head of Office, Effective noting and drafting, Overview of financial rules, Delegation of financial power rules, Need for financial management and Principles of financial propriety, Constitutional provisions of conduct and discipline and Principle of natural justice, Misconduct and remedial actions, Facets of vigilance and Vigilance organizations and functions, Case studies on administrative vigilance, Roles of disciplinary authority and appointing authority, Roles of inquiry officer, presenting officer and defense assistance, Preliminary inquiry, Suspension, Framing of charge sheet, Minor and major penalty provisions, Imposition of penalties - details of procedure, Mock inquiry, Action on inquiry officer's report, Personal Effectiveness, Personal Effectiveness and Transaction Analysis and Financial Literacy and Planning. Psychometric Test, Problems Analysis, Decision Making and Post Decision Analysis, Quality Management System and Six Sigma, Planning and Organizing, Lean Manufacturing, Team Building, Presentation Skills, Supply Chain Management, Creativity and Innovations at Work. 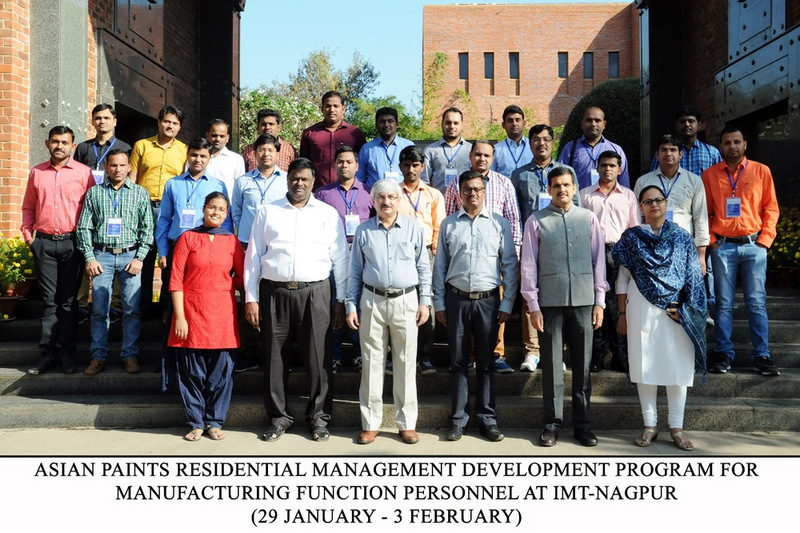 4 Days Residential Management Development Program for Field Technologist of Asian Paints Limited During April 20-23, 2016. Employee Motivation, Attitudinal Change for Effectiveness, Skill Development, Positive Thinking, Pro-activity, Planning, Organizing, Staffing, Problem Solving and Decision Making, Time Management and Stress Management, Team Development, Leadership, Communication and Presentation Skill, Group Behavior and Group Dynamics, Transactional Analysis, Personal Effectiveness and Financial Literacy and Planning. Psychometric Test, Bringing Attitudinal and Behavioral Changes among the Personnel. 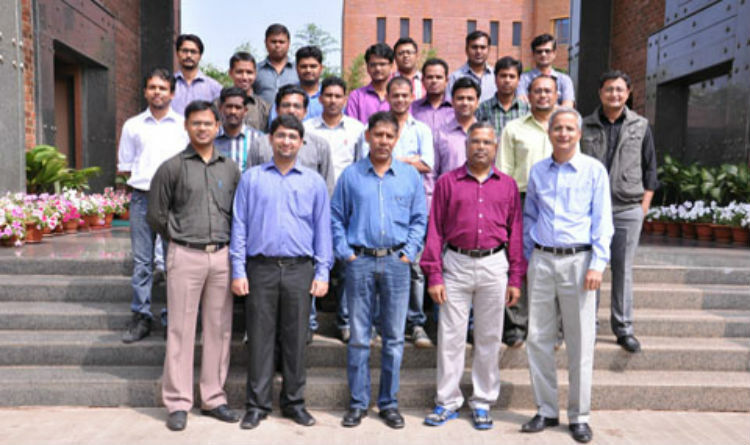 6 Days Residential MDP for Officers of Asian Paints Ltd., during 13-18 July, 2015. 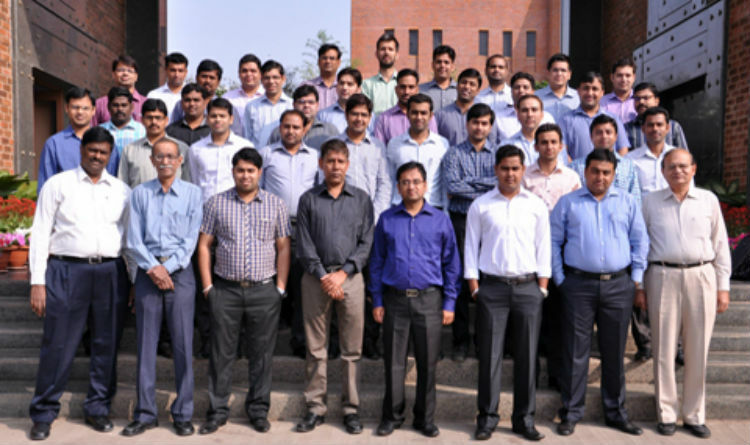 4 Days Residential MDP for Officers of Asian Paints Ltd., during 13-16 April, 2015. 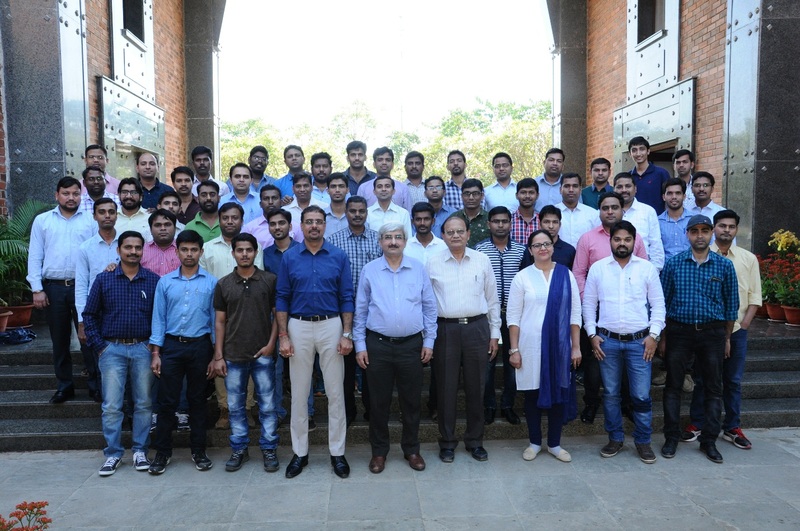 Psychometric test, Managerial Economics, Finance for Non-Finance Managers, Planning and Organizing, Organizational Change, Problem Analysis, Solving and Decision Making, Post Decision Analysis, Decision Methodology, Basic Accounting and finance for Managers, Lean Manufacturing, Legal Aspects of Business, Relationship Marketing and Crisis Management. Leadership, MBTI type personality test, Managerial Economics, Managerial Traits, Change Management, Team Building, Decision Making Under Uncertain Conditions, Lean Manufacturing, Communication and Presentation Skills and Emotional Intelligence. 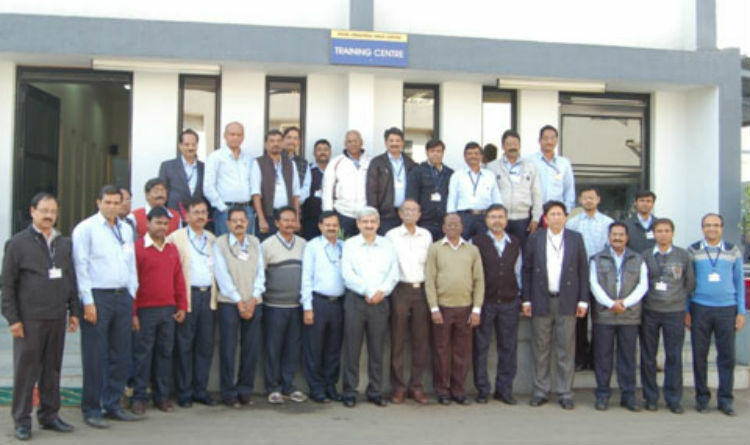 Employee motivation, Attitudinal change for effectiveness ,Skill development, Positive thinking Leadership and team development, Communication and presentation skill, Stress management, Time management, Pro-activity, planning, organizing, co-coordinating , staffing, problem solving and decision making, group behaviour and group dynamics, Transactional analysis and Personal effectiveness, Financial literacy. Segmentation, Targeting and Prospecting, Transactional Analysis, Planning, Organizing & Budgeting, Group behaviour, Decision Making and Problem Solving, Key Account Management, Finance, Advertising and Branding, Sales Pitch, Handling Objections, Leadership. Decision Making & Problem Solving, Change Management / How to remain Contemporary, Creativity & Innovation, Presentation Skills, Psychometric Testing, Leadership, Emotional Intelligence, Bringing Attitudinal and Behavioural Changes in Personality, Values and Ethics, Impact of Personality on Performance, Crisis Management, Effective Communication/Effective Listening, Team Building and one full day program on OUTBOUND. Management of change, How to Create Effective Teams and Group, Employee Motivation, Study of emotions, Transactional Analysis, Finance, Conflict Management, Impact of Personality on Performance, Perception, Study of different Organizational Structures/Design and Development of Effective Organization, Organizational Culture: Impact of Culture on Organizational Behaviour, Stress Management, Group Behaviour, Power and Politics, Decision Making as a function of Leadership Quality, Organizational Development, Leadership, Individual Behaviour, Attitude and Learning, Job Design, Impact of Personality on Performance. Program fee is to be paid by Demand Draft/Cheque payable at any Bank in Nagpur. The DD/Cheque should be made in favour of "Institute of Management Technology, Nagpur" and sent to the Chairperson-MDP on following address at least two weeks prior to the commencement of the MDP. Program fee is not refunded once nominations are accepted. However, substitution of participants is allowed or the said fees may also be adjusted for future MDPs.